WESLACO – Board members and local school district officials teared up while trying to get through a special board meeting Thursday evening, where the first report on damage sustained by the city and school district was presented. 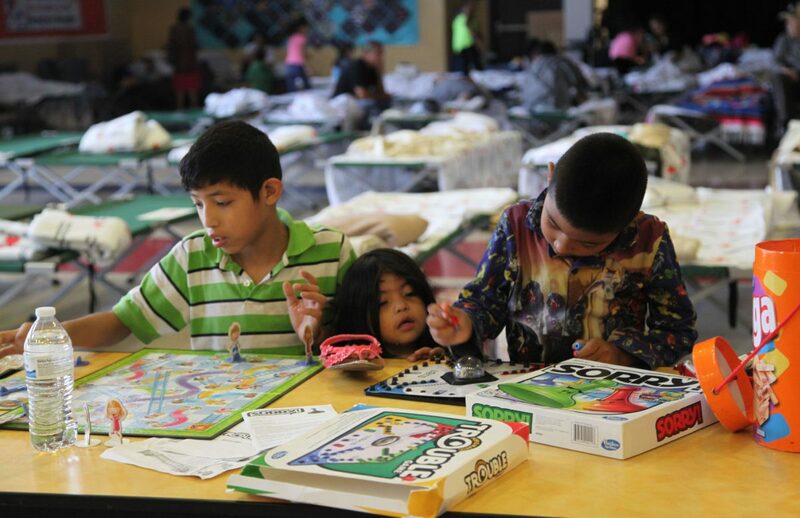 So far officials counted a total of 3,490 Weslaco school district students living in heavily impacted flood areas inside and outside district lines. They estimate 2,132 family homes in the area were damaged and 59 staff members were also impacted. So far, Weslaco school district has tallied close to $4.2 million in damages to two campuses and technology equipment lost, according to the presentation. F.D. Roosevelt Elementary sustained the bulk of that cost at an estimated $3.5 to $4 million in repairs, which include possible demolition and rebuilding of part of the campus. Water levels at this location reached nearly three feet high. Weslaco East High School’s basketball court will also need to be replaced for the fourth time after the water ruined the flooring. This comes at an estimated cost of $100,000. Other campuses, however, also sustained what they are currently referring to as minor damage. These include the elementary schools Memorial, Rico, Gonzalez and Airport, as well as B. Garza Middle School. 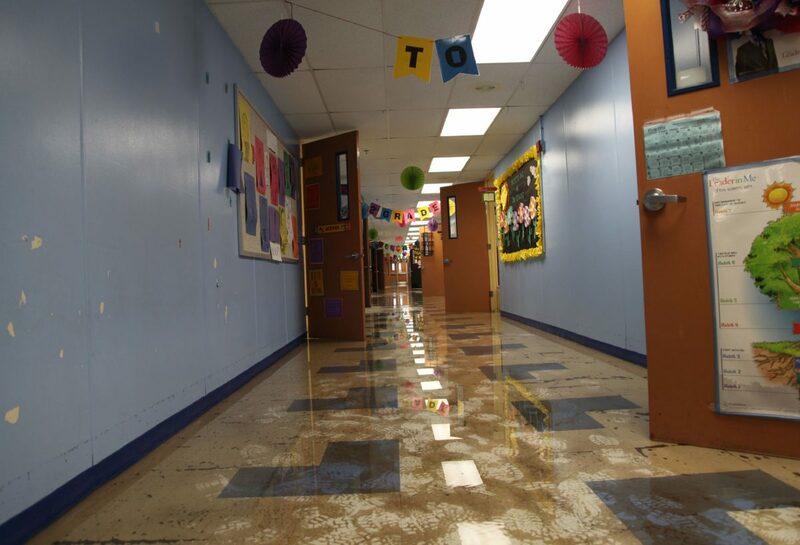 The Career and Technical Education building’s ag farm and several classrooms were flooded, and the special education building also has water damage. But the total amount of the destruction is still unknown as district officials are working with insurance companies and other entities to assess repair costs. The transportation department received one of the biggest hits with 61 school buses disabled out of a total of 95, and 18 out of 21 district vehicles also damaged. The district needs a minimum of 87 buses to operate its routes, said Lupe Garcia of the transportation department, but the hope is to keep at least 13 spares to replace any breakdowns during the school year. Cost of damage to this department has not been estimated, as insurance claims adjusters are scheduled to visit the district next week to assess the vehicles. But the board discussed the possibility of renting buses to be prepared for the beginning of the school year in August. Most of these costs are still unknown as well as whether the district will receive any funds from the Federal Emergency Management Agency. 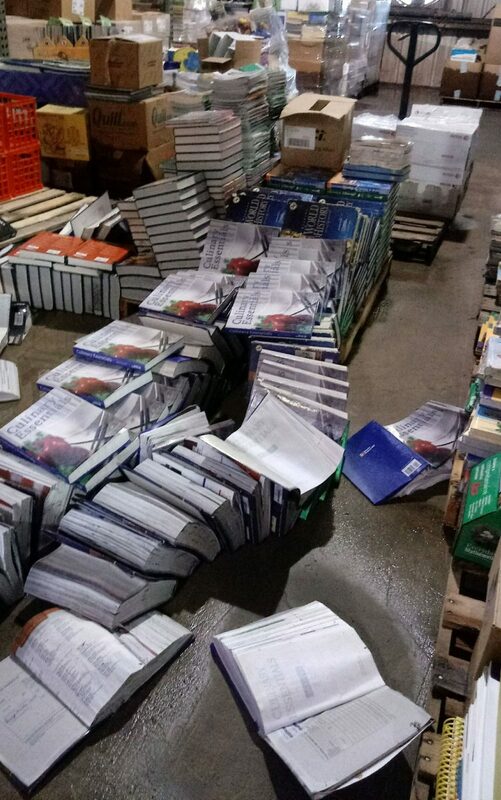 Adding to the material damage is the possibility of a decrease in enrollment. With this in mind officials decided to take a slightly conservative route budgeting for a count of 15,905 in average daily assistance, or ADA, for the upcoming year, instead of last school year’s budgeted count of 16,170. This number was based on last year’s achieved attendance count at the first four-week mark. The budgeted ADA for 2018-19 translates to approximately $120 million in state funding. But if they were to lose 1,000 students in the upcoming year the district would receive about $7.5 million less in state funding. 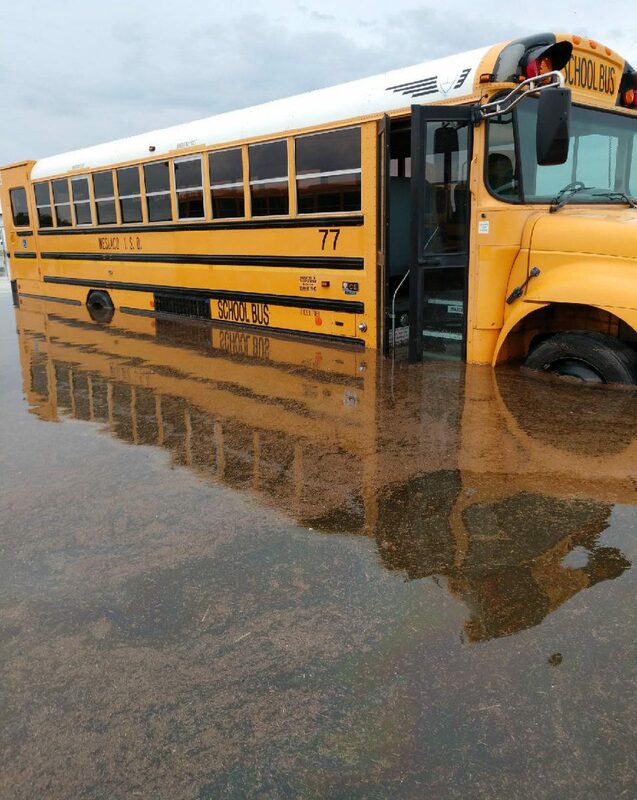 By the end of the night, the district also approved a resolution to pay two full workdays to district employees sent home due to rain and those who couldn’t attend work at all due flooding. This seemed to be a no-brainer as trustees moved to approve the item before it could even be fully discussed, stating it was just the right thing to do. “Continuing wage payments to all employees contractual and non-contractual, salaried and non-salaried, who suffered a loss in pay due to emergency or unforeseen closing serves the educational public purposes of maintaining morale, reducing turnover and ensuring continuity of district staffing when Weslaco ISD reopens,” stated the resolution read by Superintendent Priscilla Canales and amended that same night to reflect two full days rather than the originally proposed day-and-a-half. District officials stated more updates will be presented to the board as the total losses become clear in the upcoming weeks and months.